Peep! Peep! A tiny, fluffy yellow bird breaks out of an egg and calls for its mother. Before long, the little chick will join the rest of the flock in the barnyard. 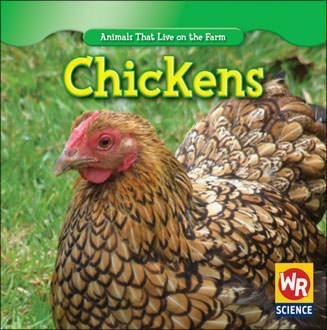 In Chickens, learn how roosters, hens, and chicks spend their days on the farm.